If you were to ask me where the prettiest place in New Jersey is I’d probably tell you Cape May County. 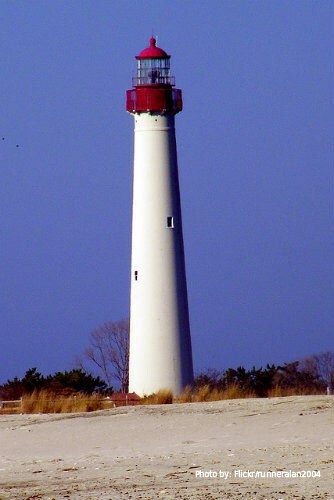 Cape May County lies at the southernmost portion of the state, forming the Jersey Cape. This area offers quaint towns, family friendly activities, beautiful sunsets, pristine beaches, and some of the best bird sighting and nature exploration you can find anywhere. Here are some of best activities in the area for families to enjoy. No visit to the Jersey Shore is complete without a trip to the sand, and there are many beaches to be found in the Southern Shore area. Beach goers will want to stick to the ocean side beaches for swimming as the bay side beaches are rarely guarded. 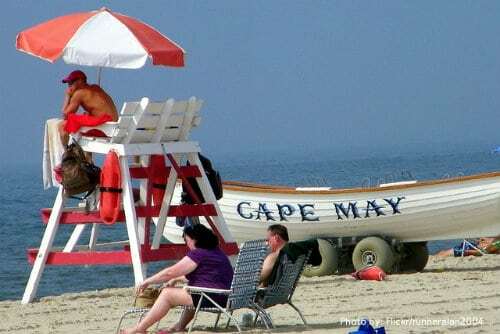 Cape May Beach is beautiful, has gentle surf, and is the perfect place to spend a day. Beach tags are required for ages 12 and older during guarded hours of 10am and 5pm and can be purchased at any beach entrance. Restrooms are available along the promenade as are some food stands. If you are staying in a resort, many of the area hotels offer beach badges to borrow and beach services such as chair and umbrella usage. Be sure to check out the free family movies on the beach by Convention Hall on Thursday nights at 8:30. No trip to the Cape May area is complete without a stop at Sunset Beach to watch the unobstructed view of the sunset and search for Cape May diamonds. All you need to do is hang out at the beach long enough in order for a dolphin sighting, however getting a little further out in the water is even more fun. Board the Cape May Whale Watcher for a scenic boat ride around the tip of Cape May and enjoy a view of the shoreline including the lighthouse and many Victorian style homes and hotels. There are several cruises to choose from, including a sunset tour, lighthouse tour, dolphin watch, or whale watch. On my recent dolphin watch, the dolphins were out in droves but don’t worry, if you don’t have a sighting, they will give you a return pass for another day and this pass never expires! Another fun excursion is aboard the Cape May Lewes Ferry. Here, visitors can walk aboard or take your car with you (reservations recommended) as you travel over to Delaware where you can enjoy shopping, trolley tours, and more. Along the way, enjoy the scenic views of the lighthouses and marine life. The views from atop lighthouses are like no other but beyond that, lighthouses are steeped in history and kids find it interesting to explore a lighthouse from the inside. Climb the 199 steps of Cape May Lighthouse and visitors will be treated to the picturesque views of the Cape May peninsula. The lighthouse also hosts full moon climbs where you can take in the view of the ocean and bay lit beneath the moonlight. On Wednesdays from July 3-31 and again on August 14, 2013, the lighthouse will be hosting Family Fun Days from 9am-2pm where kids can partake in hands on activities and enjoy kid friendly performers and entertainers. There are more lighthouses in the area for families to explore. 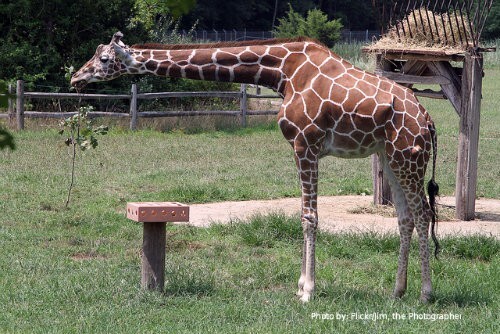 One of the best zoos to be found in New Jersey, or anywhere for that matter, is the Cape May Zoo. One of the main attractions of the zoo is the FREE admission. The zoo is well maintained and very clean, shady, and stroller friendly. Kids will delight in observing animals from all over the world, including the snow leopard cubs that were born here. The park grounds outside the zoo are perfect for families to enjoy a picnic lunch, play on the one of the two playgrounds, or take a spin on the carousel or train ride. Pets are not permitted so please leave them at home. As a Jersey native, my vote for the most family friendly boardwalk goes to the Ocean City Boardwalk. While you will find plenty of tacky t-shirt shops that are a mainstay along New Jersey boardwalks, you won’t find are bars and nightclubs. Ocean City is a dry town, therefore attracting a quieter, more family-friendly crowd. Along the 2 ½ mile boardwalk you will find plenty of family fun including miniature golf, ride piers, and a water park. The Music Pier is where you will find concerts and special events throughout the year. Sunday and Wednesday evenings this summer are character nights where families will find their favorite boardwalk mascots parading on a float and then lining up in front of the Music Pier for photos and autographs. On Tuesday evenings, mummers will strut their stuff down the boardwalk, and Thursdays bring family entertainment. Be sure to pop into two Ocean City staples while on the boardwalk: Johnson’s Popcorn and Shriver’s Salt Water Taffy. Cape May County is known for its birding. 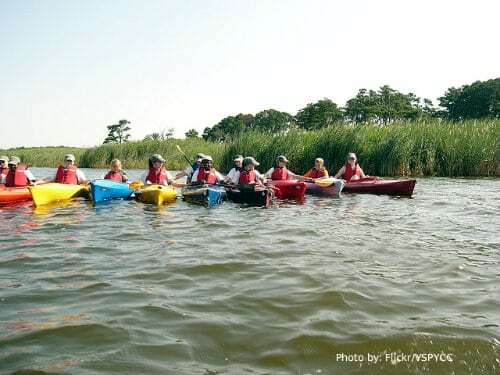 While there are many parks and trails you can walk through to get a glimpse, one of the best ways to get a close up look at the wildlife is from the water on an eco-tour. 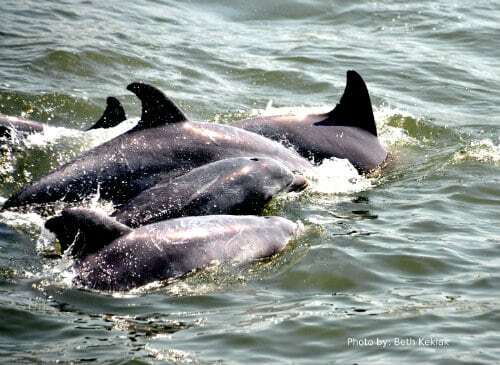 Bay Cats is located on the bay in Ocean City and offers guided nature tours. On my tour of the bay, we discovered oysters, observed an osprey nest, and saw several different types of birds fishing in the low tidal water. If you prefer, you can rent a kayak for the day and go out and explore on your own. 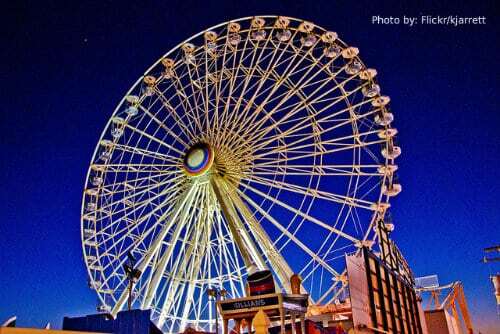 For more ideas, check out this sample itinerary for a week’s worth of family fun in Cape May. The great thing about many of the activities listed here is that families can pack a picnic lunch to enjoy. However, knowing where to stop for a good meal is always a bonus. On my recent visit to the area, I discovered two places loved by locals and tourists alike. In Cape May, the Rusty Nail offers a casual atmosphere with both indoor and outdoor seating options. The menu offers a nice assortment, including a varied kids menu, and I completed my quest in finding some of the tastiest crab cakes. In the evenings, guests can lounge by the fire pits while enjoying live music. In Ocean City, The Chatterbox is a landmark among locals. 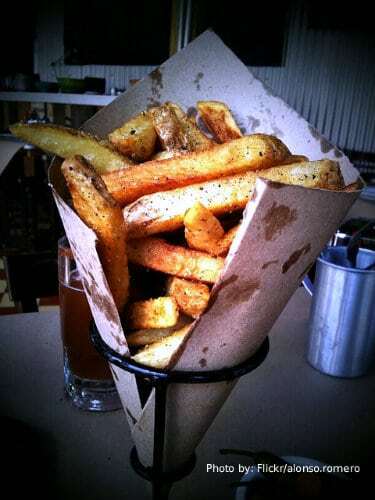 Families will enjoy the friendly service, the casual atmosphere, and the array of offerings. Along the Jersey Shore, vacation home rentals, are among the more plentiful, and sometimes most economic options to stay. La Mer Beachfront Inn in Cape May, while a bit pricey during high tourist season, is a good option for families. Larger guest rooms that can sleep five are available and rooms have microwaves and refrigerators for added convenience. Guests can relax poolside or borrow beach badges and head across the street where the hotel has chairs and umbrellas ready to use. An outdoor shower facility allows you to rinse off the beach sand before heading back to your room or jumping in the car for your ride home. In Ocean City, visitors will find many quaint inns and bed and breakfasts. Think a bed and breakfast isn’t for families? Think again. 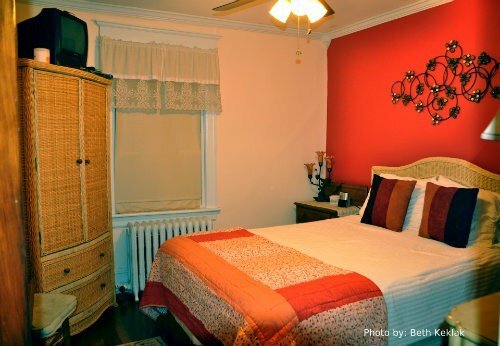 Butterfly Breeze Bed and Breakfast welcomes families and even has a two bedroom suite than can sleep up to six. All rooms contain a mini fridge and DVD player, and the common living room has DVDs and games to borrow. Disclosure: As part of a recent press trip, the author received complimentary lodging, meals and activities to help facilitate this article. While the hospitality was greatly appreciated, all opinions are her own based on her experience.